These Soft + Chewy Chocolate Chip Cookies are one of my favorite sweet treats! I dare you to eat just one! Here it is. Yet another recipe on the internet for chocolate chip cookies. I mean, I’m surprised the interwebs haven’t broken due to the weight of all of the chocolate chip cookie recipes out here. But since the internet appears to still be working, I figured I’d add in one more recipe. But boy is this is a good one! Nothing crazy and fancy going on here. Nope, no avocado or cayenne in the dough. No peanut butter, marshmallows, pecans or cranberries, either. Just good ol’ chocolate chip cookies. These Soft + Chewy Chocolate Chip Cookies are just that…thin cookies that are noticeably soft and chewy. They’re delicious! I’ve always had a secret love for the chocolate chip cookie. I’m not too terribly picky, either. Crispy, chewy, thick, thin…it doesn’t matter all that much to me. After all, it’s a cookie with chocolate chips in it. How bad can it be? Truth be told, though, my favorite kind of chocolate chip cookie is the kind that stays soft and chewy even after they cool off. A couple of years ago, my sister (aka “The Cookie Queen”) sent me a new recipe she had been playing around with. She knew I loved soft chocolate chip cookies, and she wanted me to try this version. So I hit the kitchen and whipped up a batch of fresh chocolate chip cookies. (It doesn’t take much to get me to make cookies!) Well, folks, she nailed it! The cookies were a bit thin which made me think they would be crispy…but not at all. (Truth be told, I probably would’ve still loved ’em even if they were crispy.) These bad boys stayed soft and chewy once they cooled. I could have hugged my sister for sending this recipe…but she is my sister after all. I’ve been making these cookies for years, and every time I try to eat only one. Seriously! I really do try. Despite my efforts, I failed again this time. Actually, I failed twice. Once when they were still kinda warm out of the oven, and then again after dinner. Thank goodness for my wife’s co-workers and the neighbors! Otherwise I would’ve failed about 10 more times before this batch disappeared. So I challenge you. Make a batch of these cookies and then just eat one. Not one and a nibble. Just one. I dare you. If you can beat my record of zero, then I’ll give you a cookie! In a large mixing bowl, cream together the butter, sugar and brown sugar until light and fluffy (about 3-4 minutes with a countertop mixer). Add egg, egg yolk, vanilla and milk; stir until just incorporated. Add flour, baking powder, baking soda, cornstarch and salt; stir until evenly mixed. Add the chocolate chips; stir until evenly mixed. Form the dough into 1” balls; place balls on a cookie sheet 2” apart. Flatten balls slightly with your hand. Bake at 350°F for 12-13 minutes, or until edges of cookies turn light golden brown. I am a sucker for chocolate chip cookies! I always have several type in the freezer just waiting to be popped in the oven. I’ll have to try your sister’s thin and chewy version next! I spy cornstarch which makes me excited already!! Pinned! And thank goodness we can be chocolate chipoholics together! 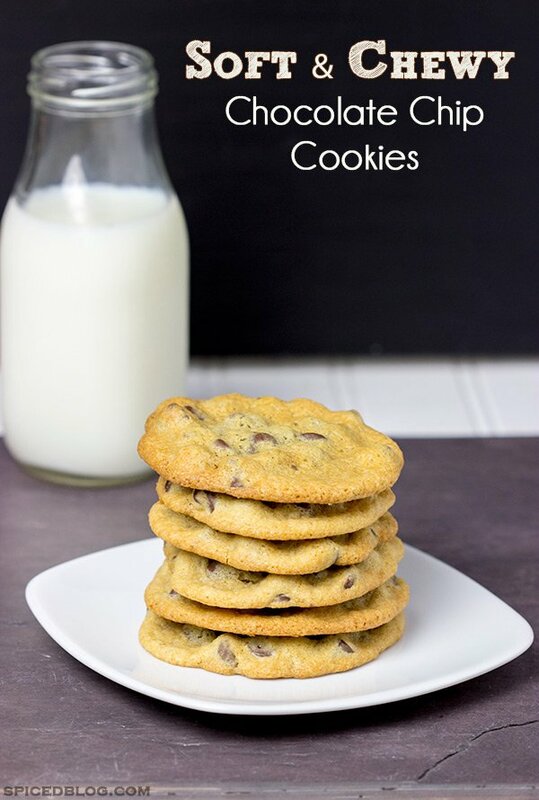 I am going to have to try these, as I can never get my cookies to be the perfect soft and chewy texture. Why thank you, Becca! I’m not sure Mondays can ever be perfect…but these cookies definitely help out! 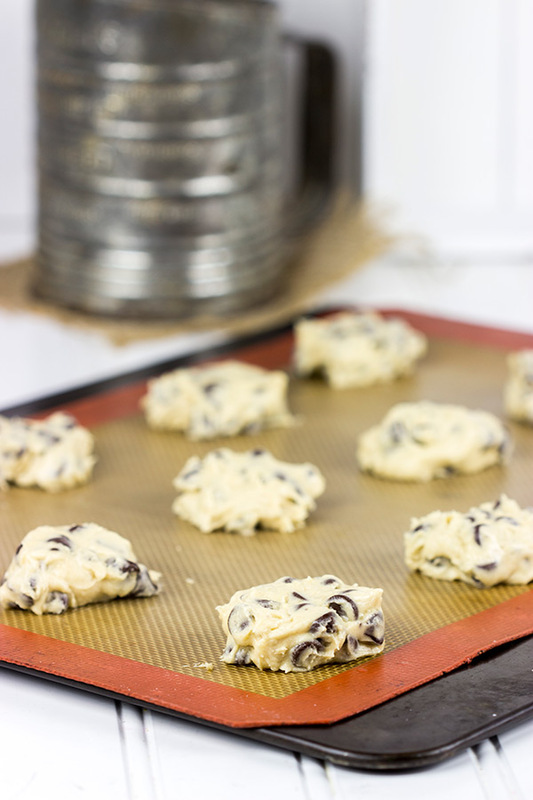 A solid recipe for Choc Chip Cookies…what do you want more? 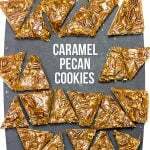 David, I have a sure fire solution for you to win this challenge you put out – You and your wife move back down to Atlanta to the vacant home next to me and every time YOU bake these, I will come over and steal them away! Deal? Dark brown sugar and cornstarch are 2 things I haven’t added to my GF cookies before…think am gonna have to now! Just one?! I’m pretty sure it’s a proven fact that one physically cannot resist seconds when it comes to chocolate chip cookies. 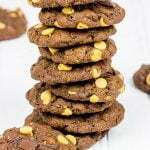 there is something magical about chocolate chip cookies, they have to be the ultimate cookie flavour ever. 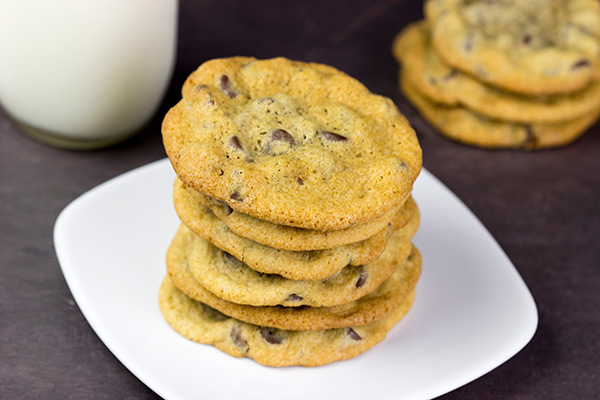 definitely craving a bite of one right now.. i love my cookies soft and chewy so i can imagine how good these must have tasted! I agree, Thalia! Chocolate chip cookies are so simple, but the combination just turns magical. Funny how they magically disappear, too! I believe there can never be too many chocolate chip cookie recipes. 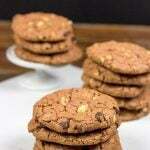 Funny how slight differences in ingredients and amounts can change a cookie. These look delicious and I know my guys are going to love them! Can I use cornflour in place of cornstarch? are they they same? Thank you for being a Spiced fan, and Happy Holidays! !